What ever Christian Louboutin does, he can never put a foot wrong, yes, literally so when Christian Louboutin’s brought us the spiked loafers, the world went crazy, from Kenya West to Rihanna, from Christine Stewart to Anne Hathaway, everyone started growing spikes on their feet. I absolutely adore them, not only because they are super comfy but also because they solved one of my long term nightmares. I hate people step on my shoes, especially when they step on the back of my heel so hard that my shoe would stay put but my foot would keep moving, then they keep on walking without apologise because they are so busy (you know who you are, people, I’m on to you!). 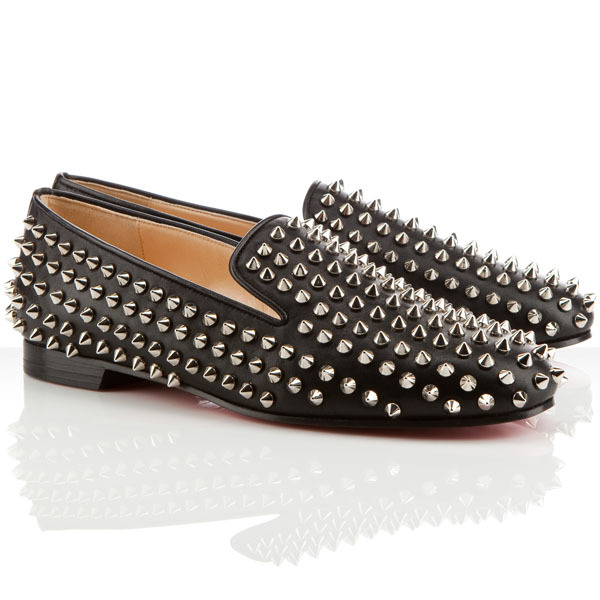 These Christian Louboutin spiked loafers are not cheap, $995 and you can’t wear them in the airport or have them as a carry on as you can use them as a weapon. 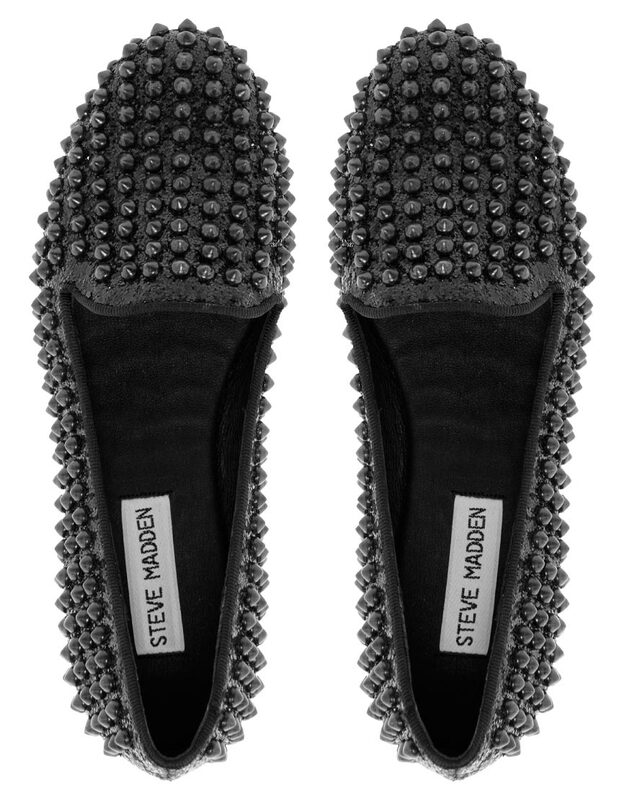 Or you can buy this pair of spiked loafers from Steve Madden for £75 and here is even better news, they are currently on sale on asos.com for only £45, you can almost buy 20 pairs for the same amount of money that you pay for the real thing. Warning: people who like to step onto other people’s shoes without apologising, I’ve suffered enough, it’s payback time! Swedes really love Isabel Marant with passion, I’m sure that you’ve already heard that H&M has signed up Ms Marant to design their next designer collaboration (please refer to my previous blog) and whatever Isabel designs, Swedish high street shops will try to bring out their own cheaper version design but with Isabel Marant’s original design essence. 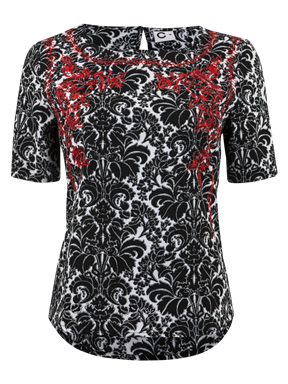 This black and white print top has bold red embroidery will set you back £375, yes, Isabel is not cheap but there is no surprise here. I discovered this similar top from high street brand Cubus. 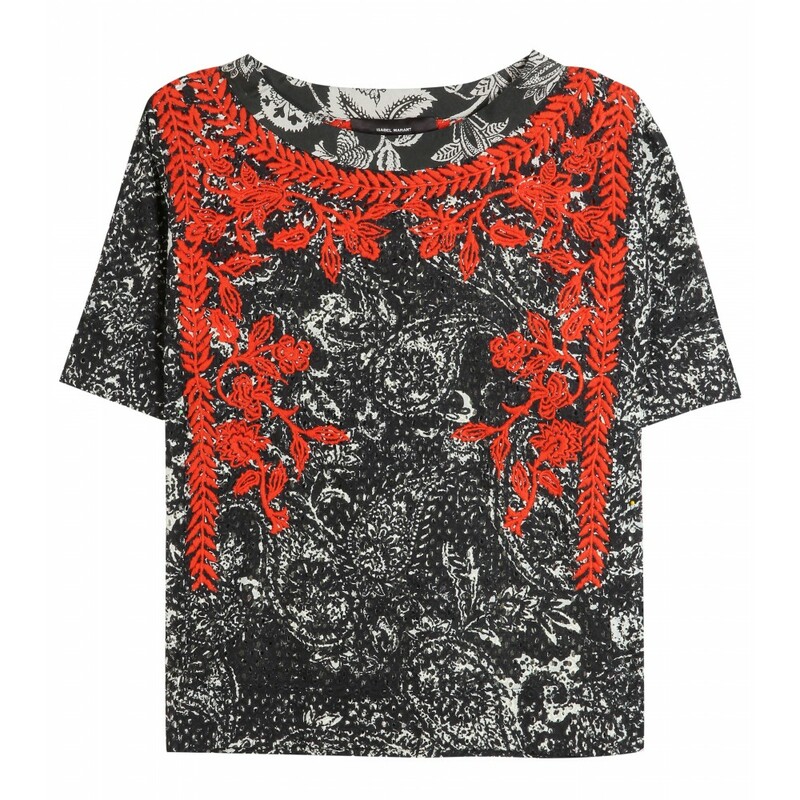 The top has the black and white prints with red embroidery as well but the embroidery is much simple than the one from Isabel Marant, of course. Selling at 149 SEK which is about £15, the real thing or the high street, you decide. Christopher Kane is a genius ( he should put this slogan on a T-shirt)! He’s the one who introduced us the Galaxy, no, not scientifically, I mean the Galaxy print. So when I saw this pair of Fluoro polished leather Chelsea boots from his collection, I know the design legend has spoken that neon is here to stay this winter. 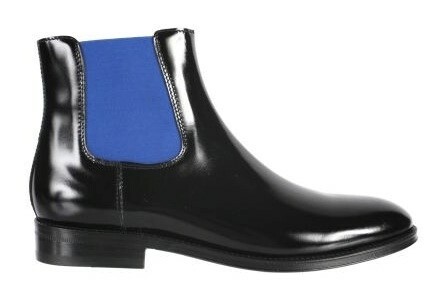 The boots are comfortable to wear and with that pop of neon blue colour insert, you can wear a bin bag with this pair of boots because all the attention will be on your feet and it better to be, this pair will cost me £605, I cannot to afford to wear anything else other than a bin bag if I buy the boots. 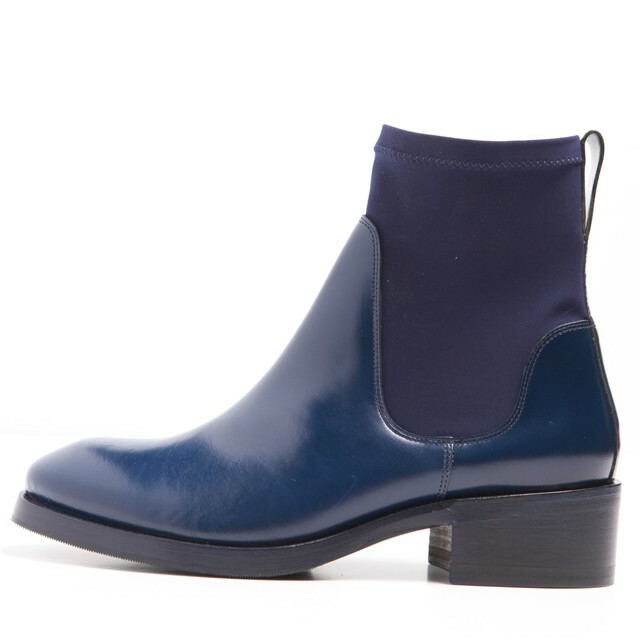 Then there is the mid-range priced Acne Comet boots, still has that pop of blue around the ankle, still not cheap, £440. 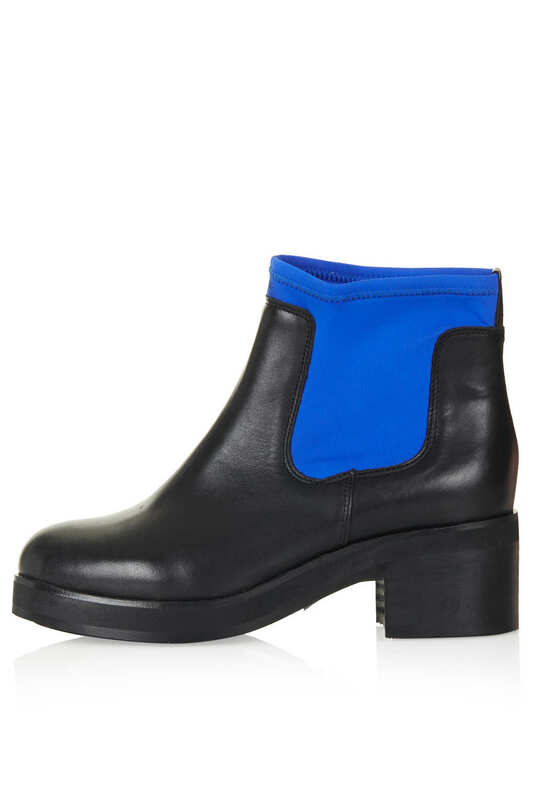 I’m buying Abigail Neoprene ankle boots from Topshop, yes, the boots has all that important neon blue detail, it even comes with 2 inch block heels and the best of all, it will only cost you £80, no, I’m not joking, they are made from real leather, what are you waiting for? When Kenzo’s Tiger Sweater became the ‘it’ item for every fashion-forward blogger and editor or model during the New York Fashion Week in the Spring this year, the sweater became a instant sell out everywhere, making it even more desirable for all the fashionable women out there. I know, aren’t we a funny bunch? The more you can’t have it, the more you want it, especially it goes with EVERYTHING, with long sequinned skirt or short hot pants, boyfriend jeans or studded leggings. Selling at £189, not bad price for a designer ‘it’ item but the trouble is that girls, you can save up all your pennies, good luck on finding it. The sweater is like the Loch Ness Monster, you’ve seen pictures, you heard the stories but when you look for it yourself, it cannot be found. 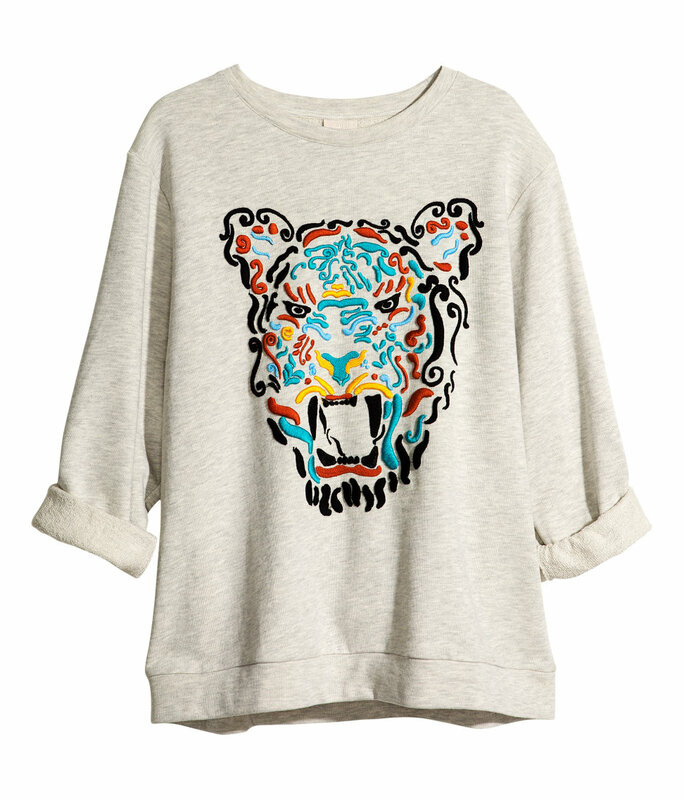 While we’re all out there searching for Kenzo’s tiger sweater, I found an alternative version from H&M ( don’t you just love the Swedes?). It’s on sale right now, plenty of supply and the best of all, it only cost £29.99. Talking about the hottest designer of the moment, Isabel Marant who is responsible for Hollywood A-listers’ off-duty look, who also just signed up by H&M to design for their autumn’s designer collaboration collection, you cannot get any hotter than this. 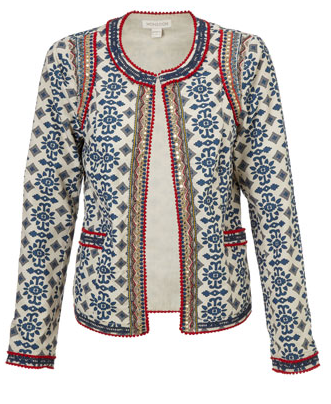 I still remember that I fell head over heels for Isabel Marant’s Reilly jacket when I first saw it on Blake Lively. What a stunner! I mean the jacket and the price is truly a stunner as well. Selling at over £1000, I can only afford to buy two sleeves. I started searching for a cheaper version of Isabel Marant’s Reilly jacket. I still wanted the jacket to have that easy to wear look, you can simply team it with a pair of jeans, also it should still have a great quality to it ( just because it’s cheaper, it doesn’t mean you have to give up on quality). 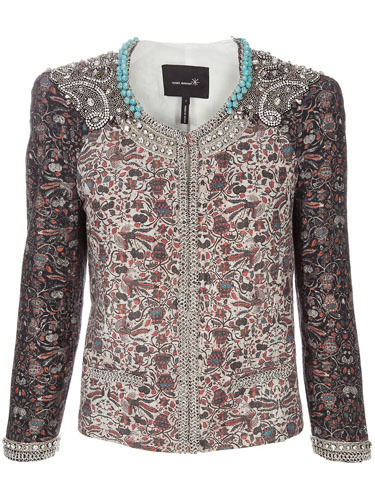 I finally found Malthilde print jacket from Monsoon that meets my requirements. The price tag: £89, how lovely! Italian label MSGM is like a beautiful secret child that adored by many fashion bloggers but shh… No one needs to know, do you know what I mean? Just look at how fashion show goers during Pairs or Milan Fashion Week lining up the street, wearing MSGM’s colourful, hard-to-miss or shall I say impossible to miss design. 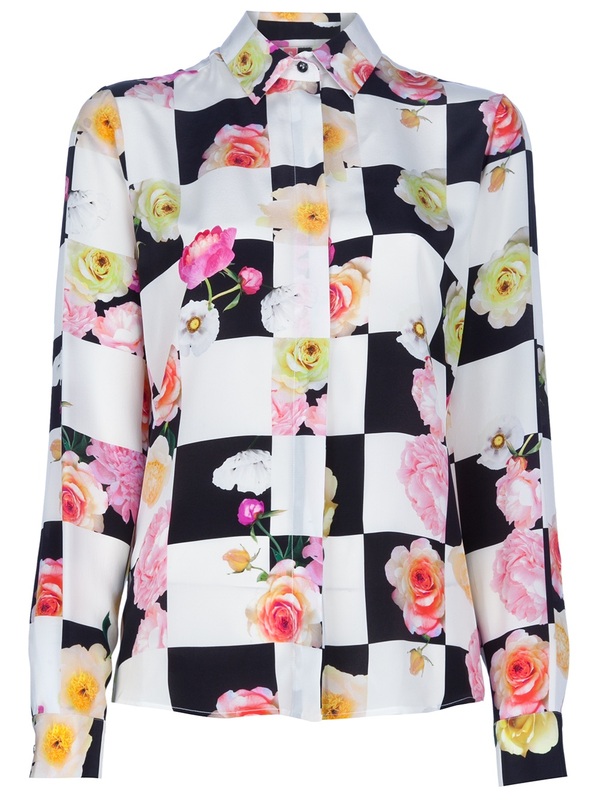 This flower blouse from MSGM’s summer collection 2013 is one of their signature designs from the collection. Combined with flower prints and this A/W’s hottest trend, black and white check print, pair it with a cable knitted sweater, this blouse will see you through the winter. The blouse is made from 100% silk and silk is expensive, how expensive? £351.86 expensive. 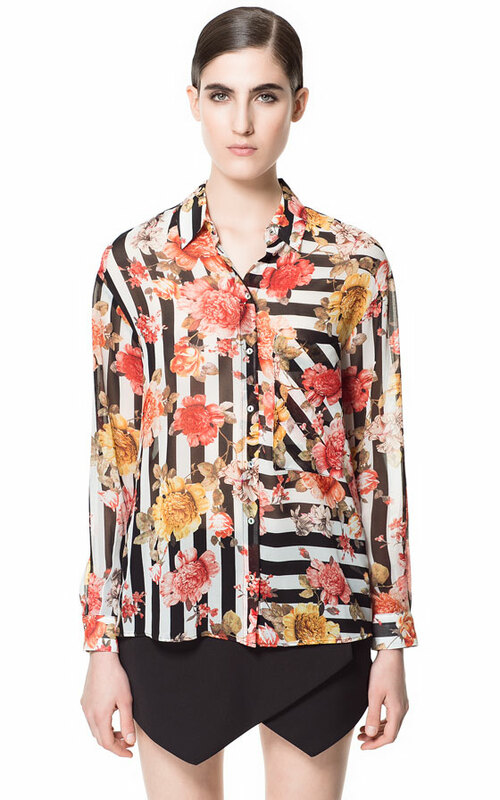 Or here is an alternative, a flower blouse with black and white stripe prints, made from not so expensive 100% polyester, it only cost £29.99 with a whooping £321.87, I’m sure you can afford to buy a skirt or a pair of trousers and shoes to go with the blouse. 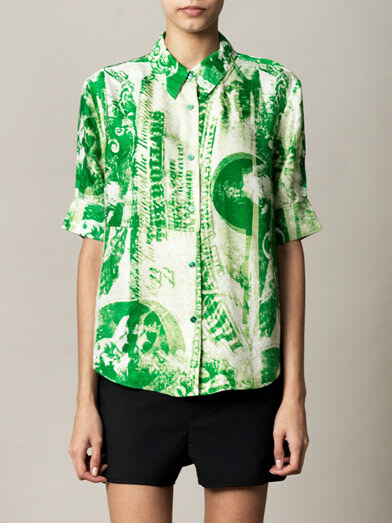 The Patia currency shirt from Acne is surely one of the coolest prints of summer, 2013. It made from 73% viscose and 27% lined. It has front button fastenings, a curved back hem and pleated button cuffs. This Acne shirt will surely turn others into green eyed monster, that’s if you have £269 spare to spend. 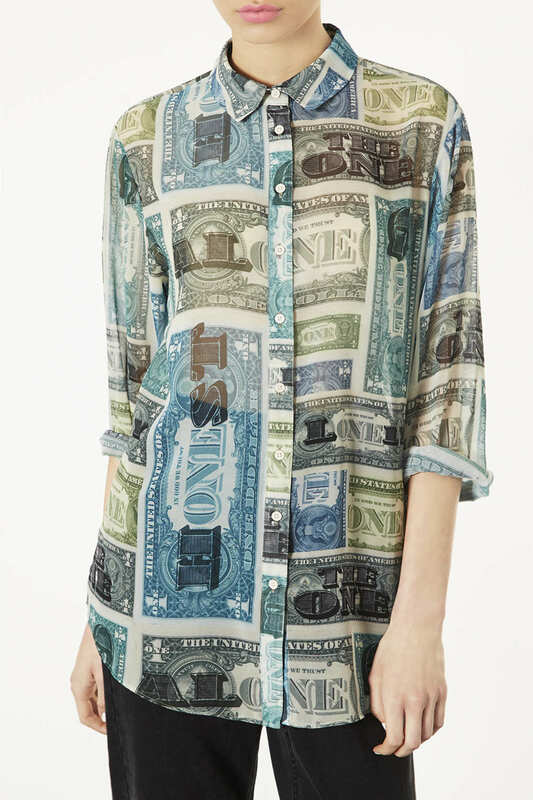 If you haven’t got that much dollars in your pocket, this All-Over Money print shirt from Topshop will just do fine. Made from 100% polyester but only costs £40 to buy, it will leave plenty of dollars left in your pocket.